The PocketWGU DevTeam has been down for maintenance for the past week (a.k.a. vacation!) and just came back to a pleasant surprise. 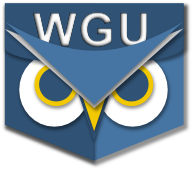 During the week, app downloads blew past the 18k mark and now represent over 46% of current WGU enrollment based on the latest number published by Western Governors University. Retention remains pretty strong too with an estimated 70% of everyone that has ever tried the app continuing to use it, or about 1 in 3 students. Pretty cool! Feedback remains good with 92.8% of ratings (across all platforms) in the 4 to 5 star range, about 80% at the top of that ratings range. One thing that has always puzzled us is how few people bother to provide a rating or review. For downloads from iTunes, only about 0.7% of users ever provide a rating. Users on Amazon are twice as likely to rate (1.6%), and users on Google Play are nearly three times more likely (>2.0%) to let us know how they feel. With over 18,000 downloads, and an estimated 13,000 active users, it seems rather odd that only a couple of hundred folk would rate the app. If you like PocketWGU, rating it is a pretty easy way to let us know. A month or so ago, total downloads from iTunes surpassed those from Google Play for the first time. Android still has an overall lead -- 52% to 48% -- over iOS in total users (quite a few Kindles out there) but iOS use is growing at a slightly faster rate. We're toying with the idea of releasing the app on the BlackBerry store to see if there are any WGU students with the new BB10 devices. Thanks to everyone who continues to make this app a success by giving it a try, letting us know (via email, please) about problems we need to fix, and for spreading the word. Here's to the next 18,000 downloads!